 Don’t miss our 2019 Adult Clinic dates this spring at Quob Stables. We are very excited to see Jackie Kerr return to run her ever popular Analysis Camp again this year (16th and 17th April) which focuses on goal setting and analysis. Our instructor Dan also be running a new clinic focusing on rider position and how this influences horses way of going on 24th April (flat) and 1st May (jumping). The days are linked but can be booked seperately. All dates include two hours riding, sessions on the mechanical horse or home horse and lunch, and run from 9-4pm. Spaces are strictly limited so book ASAP to guarantee your space. Please call Reception on 02380 694657 for more information.